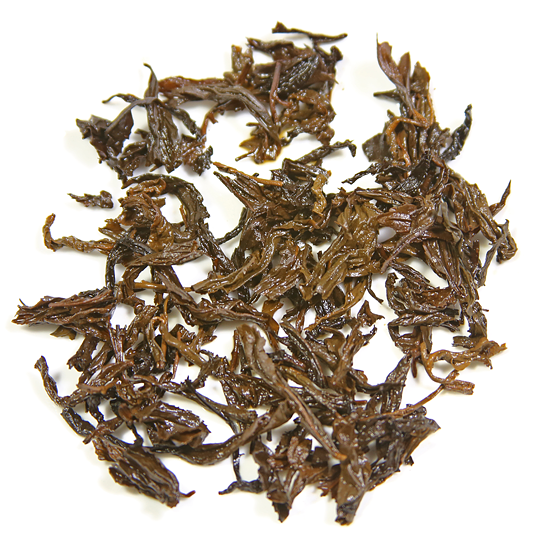 Flavor: while fresh Baozhong is buttery, outrageously floral and fresh, this aged version is complex, deep and rich. The unique taste of this tea is suggestive of aged sheng Pu-erh – bringing forth the suggestion of forest, woods, leather, beef broth, and fungi. The aftertaste – hui gan – is not over-powering but persistent and elegant. 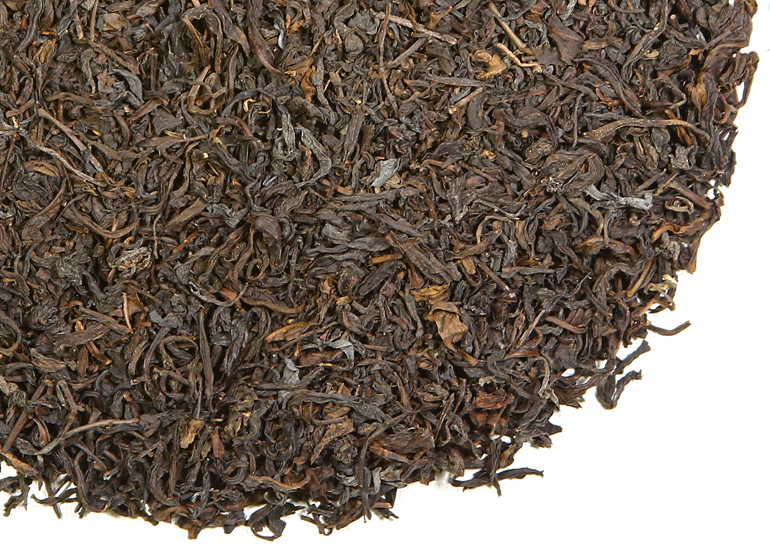 Oolongs, especially aged and roasted oolongs, are traditionally ‘rinsed’ before being steeped. Store the tea in a container that will protect it from light, heat and air. In Asia, we have seen many types of containers for aging tea – large ones, small ones, round ones, tall ones, unglazed clay containers and fully glazed vessels such as porcelain or stoneware. Oolong tea does not contain the presence of microbes as does sheng Pu-erh does ( this is the other tea most commonly stored for aging). So for oolongs the containers do not need to allow the tea to ‘breathe.” In fact, the tigher the seal the better. A good lid is an important feature as the lid must fit snugly in place on the container. Or be heavy and weighted such that is stays put. Keep the container in a relatively steady temperature in your house without too much fluxuation from summer to winter. Perhaps the top shelf of a closet or in a wine cellar would be perfect. Appreciation of aged tea, aged wine and dark, aged spirits is growing in the United States. Specialty shops, restaurants and bars feature more aged beverages than they did just 5 years ago, fueling the enthusiasm for dark spirits, creative cocktails, and bold wine. Right now, in tea, wine and spirits, there is a fascination with deep, rich, dark flavors. Nuance and complexity are in. Low-burn spicy flavors, a suggestion of wood or peat and a dense concentration of chestnut / raisin / plum flavors are in vogue. Brooding, umami-rich flavors that suggest game / mushroom / leather / and earth itself are in, too. Shifting flavors that change or ‘open up’ over the course of drinking are also being appreciated. This aspect of oolong: multiple steeping, with its variation in flavor release, makes oolong perfect for right now because the flavor of most oolongs ( aged or not ) changes with each successive steeping. But aged tea is not so easy to find and this is disappointing. Awareness, curiosity, and appreciation of aged tea is growing among Western tea enthusiasts, but many others have not been exposed to the idea of aged tea. This is unfortunate as discussions about when to drink a certain tea young and when to drink another tea aged is fodder for learning, and a fascinating exploration of flavor. What aged tea offers is essentially the same set of characteristics that aged wine or aged spirits offer – concentrated flavors with layers of complexity enhanced by the richness of maturity. Aged teas are about pleasure and prolonged taste sensations, thanks to the alchemy that the passage of time brings to the flavor and aroma of good oolong tea (when carefully stored). Aged oolongs are for drinking in quiet, or with an intimate group of like-minded people; they are not a good choice for the morning rush-out-the-door-on-the-way-to-work tea. 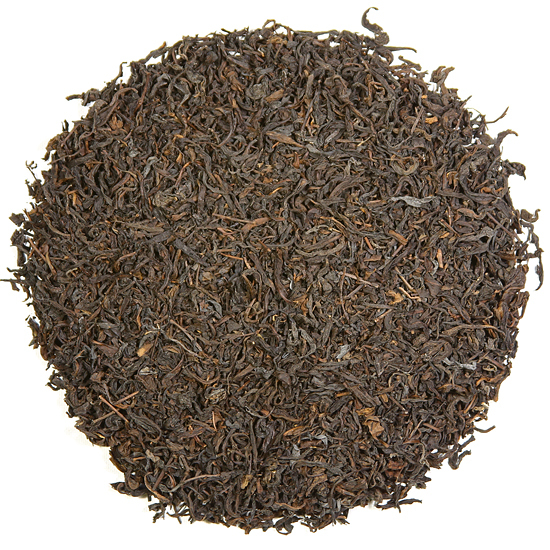 So, then, let us simply say that this 33-year old aged oolong tea is a thing of beauty. We are thrilled to have it. The leaf is very dark in color and quite a bit smaller in size than the leaf of of fresh Baozhong. The dark color and the shrinkage is due to slow oxidation and moisture loss in storage over time. Both of these changes result in concentrated, rich flavor. I tasted this tea with the producer, Mr. Bai, when I visited his tea garden one November. Since he is a Baozhong producer, I was surprised when he gave me a taste of this tea – which I mistook for a lovely aged sheng Pu-erh. The flavor of this tea was reminiscent of aged sheng Pu-erh’s that I have tasted from the 1960’s or early 1970’s, and I was flattered that he would serve me such a venerable, and expensive Pu-erh. When I commented on it, he delighted in my assumption and seemed pleased with my assessment of the flavor, but then politely told me I was mistaken. The tea was his Lao Baozhong – a 33 year old treasure which he had been keeping in careful storage all those years. He was a bit ‘mum’ on how this tea had been stored, but shared with me that it was made from ‘old-style’ leaf production. Clearly a little fermentation had occurred somewhere along the years which would account for the sheng-ish flavor. Mr.Bai’s father began aging this tea in 1983, and it has been re-roasted several times by Mr. Bai over the years. While fresh Baozhong is buttery, outrageously floral and fresh, this aged version is complex, deep and rich. The unique taste of aged sheng Pu-erh stayed persistent in the background – bringing forth the suggestion of forest, woods, leather, beef broth, and fungi -all cloaked in the deep amber / red liquor. The aftertaste – hui gan – is not over-powering but persistent and elegant. 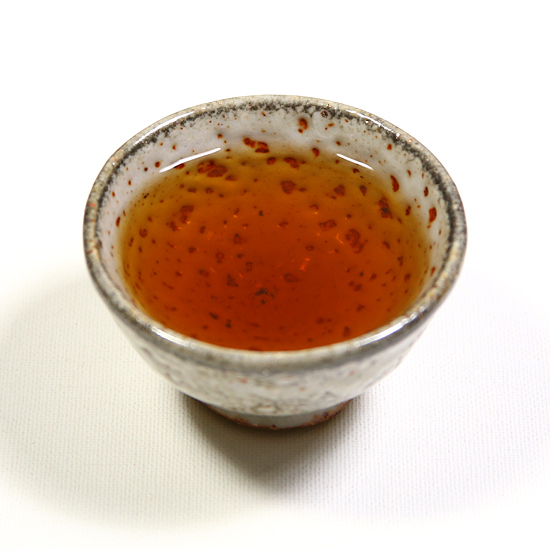 The color of the liquor faded on successive steepings, and the overtly Pu-erh taste diminished as well. This aged Baozhong has a light and nicely balanced qi (earth energy…fresh Baozhong does not have qi) which put all of us at the tea table in a happy place. Overall, this tea is very smooth and sweet with no harsh edges or awkward notes. It has no similarity with the taste or appearance of fresh Baozhong. This tea is so different because time has changed it. If this tea were to age for another 30 years, I imagine it would become even more concentrated and earthy. And darker and smaller in size. Perhaps with enough time it would essentially turn into crumbles, becoming something to toss back out into the tea garden to enrich the soil and return its qi to the earth. Fulfilling the cycle of birth and growth and decline and rebirth that nature does so well when left alone to work her magic. Anyway, I was smitten immediately with this tea and hoped to be able to purchase some for our customers. Mr. Bai agreed to part with a portion of his stash, so we both left the tea table happy, and flush with the good qi of this tea. For now, it is ours to drink at this delicious stage of its development. If you are intrigued, you will be pleased!